The Smithfield, Lower Bethesda Street, Hanley, Stoke ST1 3DE was a well known public house that traded for many years with varying degrees of success. It is situated on the corner of Lower Bethesda Street and Jasper Street and comprises a detached 2 storey traditionally constructed building with rendered elevations and pitched roof. It is believed the property dates back to the early 1900s. Internally the property currently comprises 2 bars, a function room kitchen and amenity space, whilst the 1st floor is made up of a self contained 2 bed flat. The floor area totals 3,790sf (net internal). Having exchanged contracts on the purchase of the property they are due to complete the purchase on or around 17th May 2016. He is purchasing the property for £195,000 and this has been verified by a recent RICS valuation. Steve will convert the property into the 10 units once he has obtained the necessary planning consent. Upon completion the RICS valuation has stated the 10 units will have an aggregate value of £718,500 or an annual rental of £45,000 - assuming each unit is let on a traditional AST. With total costs (including purchase price, conversion costs, consultants, sale fees, contingencies and interest charge) amounting to £573,798, this scheme is expected to create a profit of £144,702 - 25.2% profit on costs. 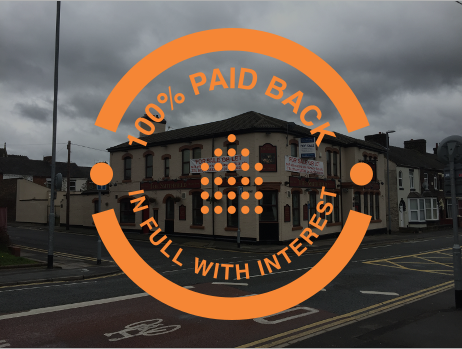 CrowdProperty has agreed to lend Steve Barker-Hall £250,000 in 2 phases; £133,000 towards completion and £117,000 once planning has been determined.The length of the loan is a minimum of 6 months and a maximum 18 months. The 2nd phase loan will be released at certain milestones during the works and as verified by our Independant Monitoring Surveyor. Initially the loan will amount to 68% LTV but once the conversion works have been completed the LTV will fall to 34.8%. Steve's exit strategy is to sell and/or let the flats. Those he chooses to hold will be re-financed with a Commercial lender so that The Crowd can be paid back. There are a number of reasons why we particularly like this development project. First of all, the borrowers know the area very well and are fully aware of the regeneration happening, which means there should be a high demand for good accommodation driven by the creation of more city centre jobs. For this reason, the borrowers are keen to keep the finished apartments as they believe there will be strong rental demand and good capital growth. 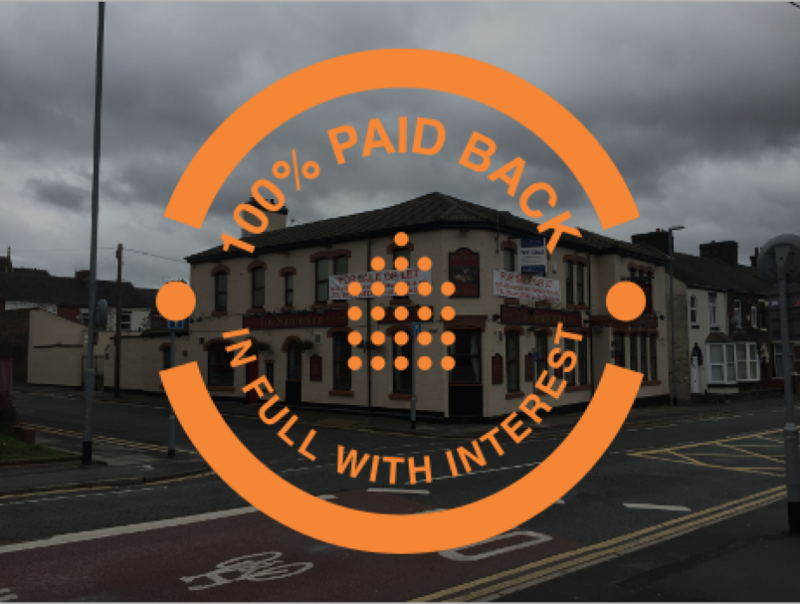 The borrowers have experience of dealing with this kind of public house to apartment conversion project, so it is well within their comfort zone and they have an alternative exit in case they do not get the full planning permission they require. 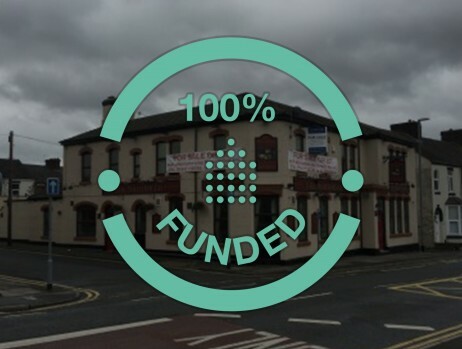 The borrowers are putting a good amount of their own money into this project which means that by the end of the project the Loan to Value will have fallen to just 35%. This should be very reassuring for the lenders as it will be the lowest loan to value project on CrowdProperty so far which means that the borrowers only have to refinance 5 of the apartments (or sell 4 of them) to pay back the capital and interest to the crowd.